Erika Whittaker (née Schumann) was born in Metz on 23rd August 1911. Her mother Elsie was the youngest of eight children of George and Annie Webb, George Webb having started Mappin and Webb, the silversmiths and jewellers. Elsie had been in the first intake of pupils at Roedean with Isabel Fry, the famous Quaker educationalist, and the Duncan sisters, Isadora and Elizabeth. Years later, travelling to China with her mother, she met on board a young musician in the German army, Hans Schumann, who was on his way to China to take up a post there – a favour granted him by the Kaiser who had been delighted by a concert he had arranged for him. Elsie and Hans fell in love during the voyage. They later married and Erika was the middle child of three. Erika’s early years were spent in Germany, but her mother wanted her to have an English education and in 1919 sent her to the experimental Farmhouse School in Wendover run by Elsie’s old school friend Isabel Fry, in which training in farm and household duties were emphasised. At that time she was diagnosed with scoliosis. Here Fate stepped in as her aunt, Ethel Webb, was an early British pupil and later secretary of F. M. Alexander. She set about giving the young Erika ‘lying down turns’ and reminding her to ‘keep her length’ when practising piano or writing. Later Erika was to attach great importance to the practical nature of her early introduction to the Technique: it was associated with activities, with what you anyway wanted to do. In around 1929 Erika began to study with F. M. himself. Her memory of these early lessons was that they were always informal and great fun. While at Ashley Place she would make herself useful, typing letters and helping her aunt Ethel give ‘lying down’ turns. Irene Tasker invited her to help in various ways in the ‘Little School’, already in full swing. Over the years Erika was to appreciate how much she learnt from Irene Tasker, who always emphasised the practical side of the work. This was the early understanding which Erika was to take with her onto the first training course in 1931. Her recollections of the course stress that it was a new experience for everyone, including F.M., and that there was a lesson in that too; there was a lot of experimentation and application work; they brought their work to their everyday activities and it was never allowed to get too serious. Later on during the course problems arose: some of the teachers were concerned that they were not being taught how to teach. Erika, however, never believed it had been Alexander’s intention to ‘train’ people in such a definite way. He wanted people to think for themselves; find their own way of working with the ideas; to make their own decisions; above all, not to copy him. At Ashley Place Erika met Duncan Whittaker, a young doctor, who had joined the course. They married in July 1940 and had one child, Anne. The post-war years were mostly taken up with family life in the West Country, and Erika spent very little time at Ashley Place. By the end of the 1950’s Erika’s marriage was in difficulties. After visiting her older brother in Australia, and liking what she saw, she surprised many people by deciding to move there. It was an opportunity to make a fresh start. She explored the islands of Papua New Guinea and, wanting to work with children, found a job with an Anglican Mission at a Highland Station teaching mathematics and English. She enjoyed the challenge of working out the ‘means-whereby’ she could keep the interest of the children, especially some of the boys who resented having a female teacher. Later, in Melbourne, she coached girls for their school exams, finding ingenious ways to help them with their difficulties; to change an attitude or to be able to stop, without ever mentioning the Alexander technique or ‘inhibition’. In 1971, at an age when most people think about retiring, Erika went to University to study Comparative Religions of the Middle East, Arabic and Sanskrit. This interest took her to Iran. In 1976 Erika returned to the UK but found that she missed the sunshine and the less restrictive attitudes of Australia and in 1980 went back to Melbourne. In the mid-eighties it seemed that the Alexander world was knocking on Erika’s door and in 1985 she was invited to give the STAT Annual Memorial Lecture; she also visited training-courses in London and met two new generations of teachers. 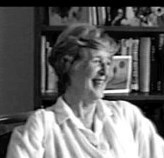 The following years saw her assisting Marj Barstow in Australia and supporting the International Congresses in New York (1986) and Brighton (1988) where she gave the Keynote Address. In 1990 she was knocked down crossing a road and underwent a lengthy period of treatment and convalescence. Typically of Erika she took it as a ‘learning opportunity’, making new discoveries about how thoughts and attitudes affect the body. By now she had many friends amongst the young teachers in Melbourne who were a tremendous support to her while she recovered from her accident, after which she made teaching visits to London, the U.S.A. and to the city of her youth, Munich, where she still had friends. She continued to support the Congresses in Sydney and Jerusalem. In 1997, after some health concerns, she made the difficult and emotional decision to move from Melbourne to Edinburgh to be closer to her daughter and grandchildren. Now in her late eighties she still had a zest for life, enjoying visits to London, to the Manchester STAT Annual Conference and to the 6th International Congress in Freiberg in 1999. Towards the end of that year she had a bad fall and broke her hip. Her travelling days were over, but still a steady stream of international visitors came to her residential home by the Edinburgh Botanical Gardens, arousing much curiosity amongst the staff. Her ninetieth birthday was a real celebration over a period of several days bringing together many different strands of Erika’s life: family, friends and ‘Alexander folk’. Unfortunately towards the end of 2001 Erika had a severe stoke and her final years were difficult ones. She died on Wednesday 19th May 2004 with her daughter and one of her grand-daughters by her side. After a moving service in the historical Rosslyn Chapel, Erika was buried overlooking the Lammermuir Hills. With her remarkable presence and poise, Erika was a striking figure. People from all walks of life immediately recognised her qualities. She could be serious when it was needed but also had a great sense of fun and loved to try new things. She was a generous correspondent and raconteur, and always some new and surprising aspect of her long and rich life would emerge. For many Alexander teachers Erika must have seemed an enigma: she was there right at the beginning, in the heart of it all: she worked with FM and his apprentices years before the first training course; studied alongside the ‘master teachers’, yet she never opened a school, trained teachers or even, for quite a long period, had any pupils. Her ‘reappearance’ in the Alexander world in the 1980’s came as a surprise to people who had not heard of her. When, in 1985, she bounded onto the stage at the Brompton Oratory to give the Annual Memorial Lecture, she looked to all the world like a woman of around fifty years of age. It was only when she began speaking about events that had happened in the nineteen-twenties that it slowly dawned on her audience that she had been there; some quick mental arithmetic revealed that she was seventy-four. During her stay in London at that time she met a lot of people; many soon realised that they had come into contact with someone quite extraordinary. Not only was she an almost unknown link back to the pre-training-course days, but she had already lived a very rich life and had a breadth of knowledge and experience rarely found in the modern world. Her insights into the history and development of Alexander’s work were a revelation, though they did not sit easily with everyone. What she saw in training-courses – and she attributed this to what had happened in the first one – often struck her as rather precious and artificial and what we thought of as ‘giving our directions’ she saw as ‘falling asleep on two feet’ – failing to notice what was really going on around us and that decisions we were making, or avoiding, in our lives were having all sorts of inner and outer consequences. One learnt from her directly through her way of being. The relationship with her was never allowed to slip into roles and many teachers were frustrated in their attempts to pin her down with their expectations of getting ‘a turn’ or some reinforcement of their point of view. It was a delight to watch her deflect their efforts. When she did use her hands to ‘give you your back’ people often commented on the integrating quality of her touch, connecting you at once with yourself and the world around you. Erika had many other interests including music, myth, pottery (particularly the work of Shoji Hamada and Bernard Leach) and especially her research into Islam, Zen Buddhism, Taoism and oriental medicine. Among the favourites in her wonderful library were the Chinese classics Monkey and, full of her own margin notes drawing parallels with Alexander’s ideas, The Secret of the Golden Flower. Her approach to working with people drew on these other great traditions. She would often say that the best teaching was done when the pupil did not know that he or she was being taught: an anecdote, a joke, a seemingly irrelevant aside, an unexpected action or inaction – all could be used to convey something, if you were ready to see it. Erika’s greatest contribution to the Alexander work was undoubtedly her real contact with people: the consequences of that influence remain to be seen. She gently reminded us all, in words and in deeds, what this work is for: the Alexander Technique is for living. [i] Erika’s daughter, Anne Cragoe, supplied some of these biographical details (… back to text). [ii] Annual Memorial Lecture, STAT 1985 (… back to text). [iii] Keynote Address to Brighton Congress, 1988. Published in Direction Volume 1 Number 5 and in The Brighton Congress Papers (… back to text). [iv] Annual Memorial Lecture, STAT 1985; Keynote Address, DIRECTION 1988; Alexander’s Way, STAT Journal 1993; Recollecting F. M. Alexander, AUSTAT News June 1997; The Congress Papers – Back to Basics (Jerusalem 1996), Shmuel Nelken, 1999, The Congress Papers – An Ongoing Discovery: Looking Towards the 21st Century (Freiberg 1999), STAT Books, London, 2000 (… back to text). [v] The Alexander Journal, No.13. STAT (… back to text).